While statistics on the prevalence of dyslexia are in short supply, in today's classrooms it is estimated that one in five students has dyslexia. However, there are likely far more who have not yet been diagnosed. These students who see the written word differently are often mistakenly labelled as having a learning disability and as such, make up approximately 70 to 85% of today's special education classes. Moreover, teachers and parents, despite a passion to help, often don't have the resources or training to do so, and without the proper support in their formative early years, a struggling student's confidence and love of learning can fade. History has shown these great young minds can bring tremendous gifts to the world, like the many great dyslexic innovators, artists and leaders before them, if given the tools to feel empowered and see dyslexia differently. Microsoft is the first company to sign the Made by Dyslexia pledge to give the 700 million people around the world with dyslexia, technology to empower them to excel in their academic journey and in life. The pledge calls on partners to build a better future for those with dyslexia, and to democratise dyslexia support, so that every dyslexic child is understood, and given the right support to realise their potential. * Develop Training Materials - In conjunction with Made by Dyslexia, Microsoft will develop free training materials for educators and parents, helping them to understand this common learning difference so they can better recognise and support dyslexic learners. * Technology for Early Intervention. Microsoft will be working with top researchers and partners in the dyslexia community to identify ways to use technology for early intervention. For a more detailed outline of each of these commitments and products, you can read the official post on the Microsoft Education blog here. 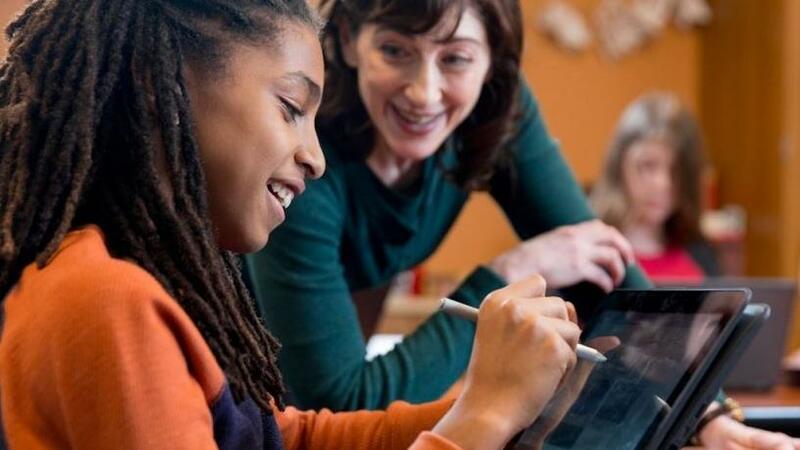 With these new materials and technology, Microsoft is excited to help Made by Dyslexia take its important awareness and advocacy work to a new level of action and impact in today's schools. The Made by Dyslexia pledge is only one of the many initiatives Microsoft has embarked on to build more inclusive learning environments. In Kenya, in partnership with inABLE, for example, Microsoft is supporting over 500 visually impaired children at the Likoni School for the Blind, with assistive technology to access richer digital learning content. And in Sharjah City in the UAE, the Al-Amal School for the Deaf is also using cloud-based technology to help teachers build more engaging lessons, create sign-language videos and facilitate independent learning. Microsoft recognises that there is no one-size-fits-all approach to learning. The organisation believes in supporting teachers with the technology tools that support different learners and learning styles - creating a more personalised and inclusive approach to learning.